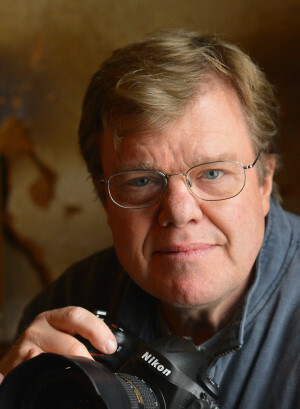 Few photographers of his generation have been honored as much as Joe McNally. His publication credits read like the prime rack on the magazine stand: TIME, Newsweek, Fortune, New York, Entertainment Weekly, The New York Times Sunday Magazine, Men’s Journal, Sports Illustrated and National Geographic. These weren’t secondary assignments, but multiple cover stories. Of special note is his 23 consecutive years (and counting) of shooting numerous cover stories for National Geographic. One of his cover stories, “The Future of Flying,” is archived in the Library of Congress collection. In addition, his prints are part of the collection of the National Portrait Gallery of the United States. American Photo recognized him as one of the 100 Most Important People in Photography. In a photo industry survey conducted during 2010, he was considered one of the 30 most influential photographers of the decade. This is just the beginning of the accolades and awards he has received during his career. Joe McNally has written a number of books, two of which were top ten bestsellers on Amazon, and also finds time for teaching. Despite all of his success, present and future, Joe started the same place most new photographers do: making mistakes and learning from them. His first professional gig was as a newspaper wire service photographer. He was thrown into unfamiliar territory and learned on the run. He has said in interviews that the random, unanticipated nature of shooting wire photos quickly taught him both the improvisational skills to capture the picture editors wanted and the survival skills to compete in a very competitive photography arena. McNally also freely admits that his story is a bit of being in the right place at the right time. During those “apprenticeship” years, he was able to learn from the veterans who knew the real secrets to succeeding as a newswire photographer. Plus, the nature of the business at the time allowed newcomers like him to make mistakes without dire consequences, allowing him to learn from his errors and do better the next day. It seems to him that today’s young commercial photographers don’t have the same opportunity to learn on the job as he did. 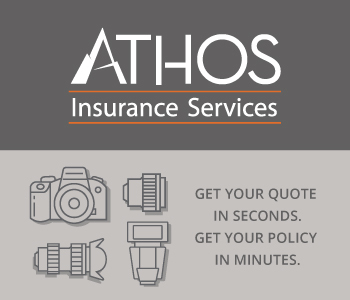 Assignments must be completed faster, budgets are tighter and editors know there is always another photographer waiting to prove that he or she can deliver the goods. Another lesson that Joe McNally has learned in the school of hard photography knocks that amateurs, photo students and other professionals should heed is a shoot is just as apt to go bad as according to plan. He says no photographer should allow him or her to be surprised that the plan he or she so carefully developed becomes impossible to initiate after the first ten minutes of a shoot. The location doesn’t look like it did during your scouting trip; the model is not the nice person he or she pretended to be; it hasn’t rained for weeks, but it is today. There are numerous reasons one of the most important skills to develop as a photographer is to be flexible, able to think on your feet and still rescue the shoot. McNally also thinks aspiring photographers must have an open and natural curiosity that includes a willingness to learn about subjects of which they are ignorant. He has had to shoot in many countries and the lives of people in many cultures. He could have never brought back the great photos his clients expected without studying those countries and cultures. He has had the same type of experience with the many scientific concepts he has had to visualize in pictures, and for an audience with only a rudimentary understanding of those concepts. There are only limited positions at the top of the photography world, but Joe McNally’s story proves that those who do succeed to that lofty status start as beginners. That’s means you…you…or you…could be a future Joe McNally.